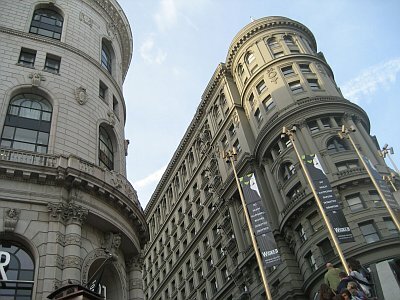 I love taking pictures of San Francisco, I think its one of the most photogenic cities in the world. I was back in the Bay Area a couple of weeks ago for Web 2.0 and I got a few shots as I was walking around downtown. 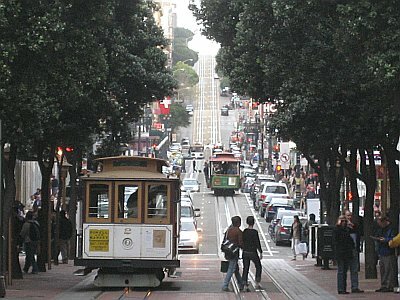 The obligatory cable car picture. 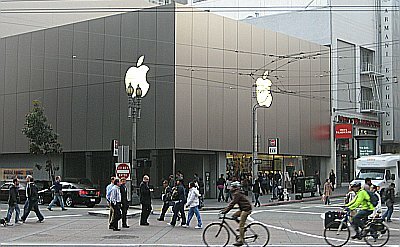 The Apple store on Market, conveniently located next to the Men's Wearhouse. 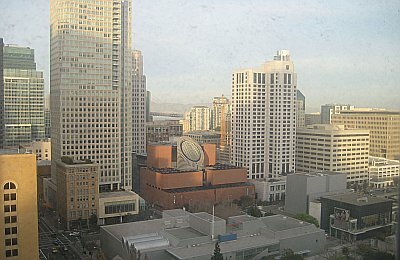 SF MoMA and the Bay Bridge thru my dirty hotel window. 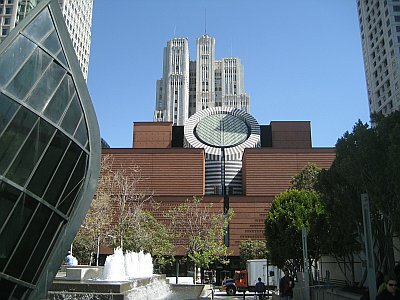 SF MoMA up close the next day. 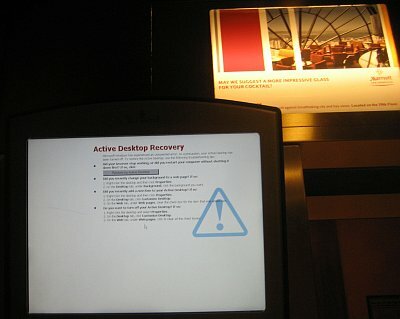 Ooops, time to reboot the elevator. This entry was posted on Wednesday, April 15th, 2009 at 8:45 pm and is filed under Uncategorized. You can follow any responses to this entry through the RSS 2.0 feed. You can leave a response, or trackback from your own site.